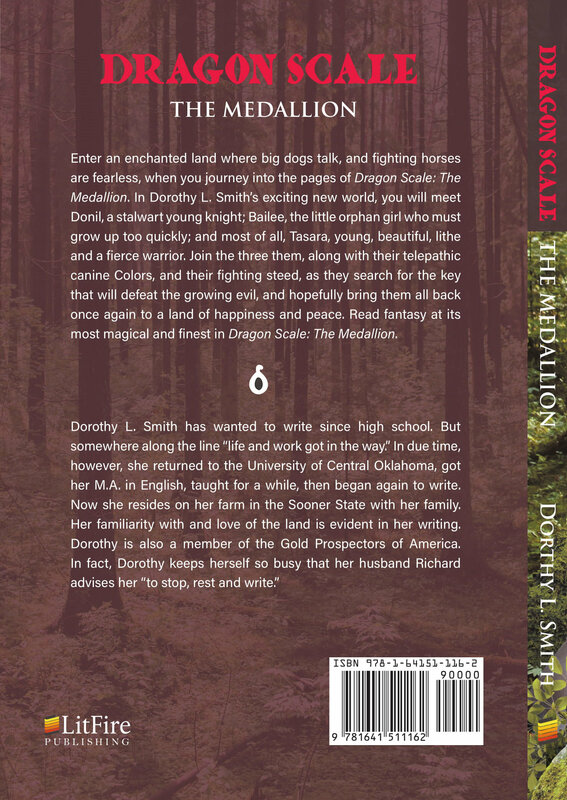 Enter an enchanted land where big dogs talk, and fighting horses are fearless, when you journey into the pages of Dragon Scale: The Medallion. In Dorothy L. Smith's exciting new world, you will meet Donil, a stalwart young knight; Bailee, the little orphan girl who must grow up too quickly; and most of all, Tasara, young, beautiful, lithe and a fierce warrior. Join the three them, along with their telepathic canine Colors, and their fighting steed, as they search for the key that will defeat the growing evil, and hopefully bring them all back once again to a land of happiness and peace. 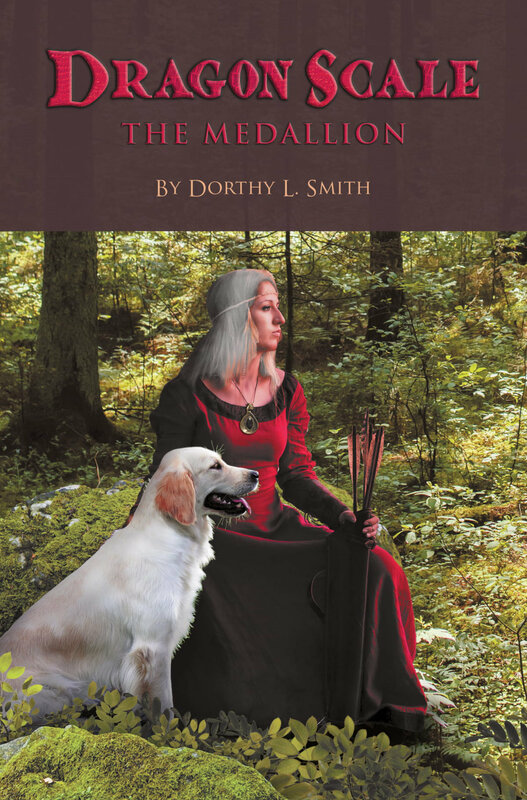 Read fantasy at its most magical and finest in Dragon Scale: The Medallion.